﻿ Why It's Important to Have a Baseline Hearing Test Today! Getting a baseline hearing test may not always rank at the top of your to-do list, but it offers you the opportunity to take control of your hearing. A baseline hearing test or baseline audiogram is designed to provide a reference point for future hearing tests. This essential test will be what all future tests can be compared — allowing your audiologist to determine if your hearing has changed since the baseline hearing test was performed. Although most people are proactive about scheduling their annual dental checkup and annual eye exam, most of us do not approach the baseline hearing test with the same vigor. However, we should, and the following information explains why the baseline hearing test is important. The more specific you can be in describing the daily sounds you hear, the more precise the recommendations your audiologist will be able to be in regards to ways to protect against hearing loss. How Are Your Ears and Heart Connected? Similar to your heart — your ears are made up of many tiny, sensitive blood vessels. When a hearing exam shows hearing loss without other obvious explanations, it may be the sign of a blood flow issue. According to a study published in the American Journal of Audiology, authors Stacy R. Kerschen and Raymond H. Hull explored research conducted over a 60 year period on heart health and its influence on hearing. Their findings confirmed impaired heart health had a negative effect on both central auditory symptoms and peripheral symptoms. How Is Dementia and Hearing Connected? 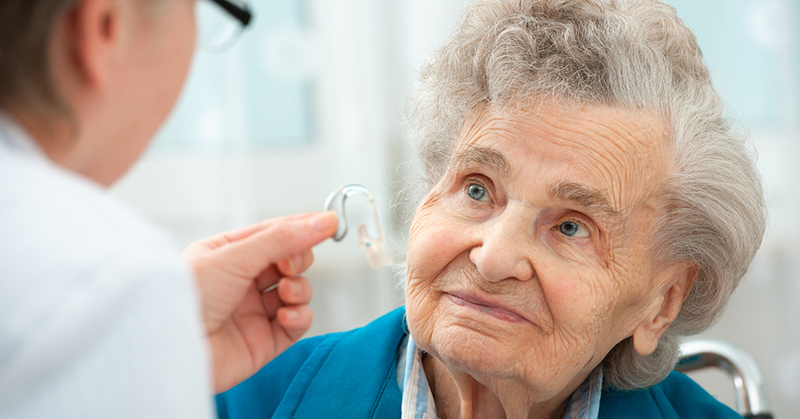 While the reasons behind it are still not entirely clear, there is a connection between hearing loss and dementia. If you have even moderate hearing loss, there is a potential tripled risk of developing dementia. Studies have also suggested a hearing aid might somehow slow or even reverse the associated cognitive decline. You wouldn't go into a dentist office and struggle to answer questions about how many teeth you had or when you lost them. If you have regular dental exams, they will have X-Rays and a history of any tooth loss. Auditory processing disorders in which the brain is unable to process or becomes confused when attempting to process sounds. Conductive hearing loss, which occurs due to a structural problem like earwax or bone deformity that prevents sound from properly being conducted through the ear canal. Being able to compare audiograms from a baseline hearing test throughout the years can show patterns of hearing loss that can lead to more focused and effective treatment. Instead of leaving it to chance, it's best to establish a standard with a baseline hearing test, so you can easily know when and how much your hearing has changed. Best of all, you can schedule a free hearing screening and a baseline hearing test today at North Shore Hearing P.C. Contact us today to schedule a baseline hearing test.